SWEET DREAMZ WITH DREAM FRENZ!! 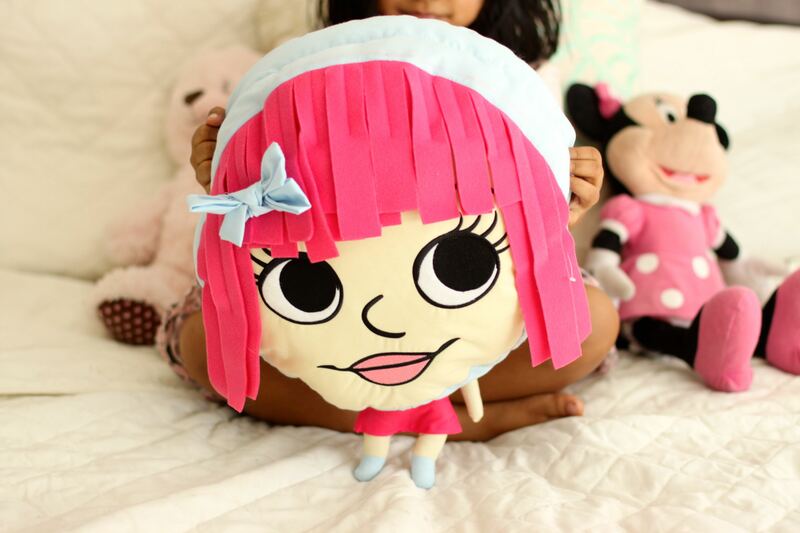 Plushy, oversized, with a soft head and a tiny body that tucks inside, Dream Frenz® is a cuddly plush pillow, toy and a perfect cuddle friend for your Kiddos! In a world where children are wired by toddler age, this plush intentionally goes the opposite direction – there are no batteries, sounds, or lights. Dream Frenz® come alive through the power of a child’s imagination! 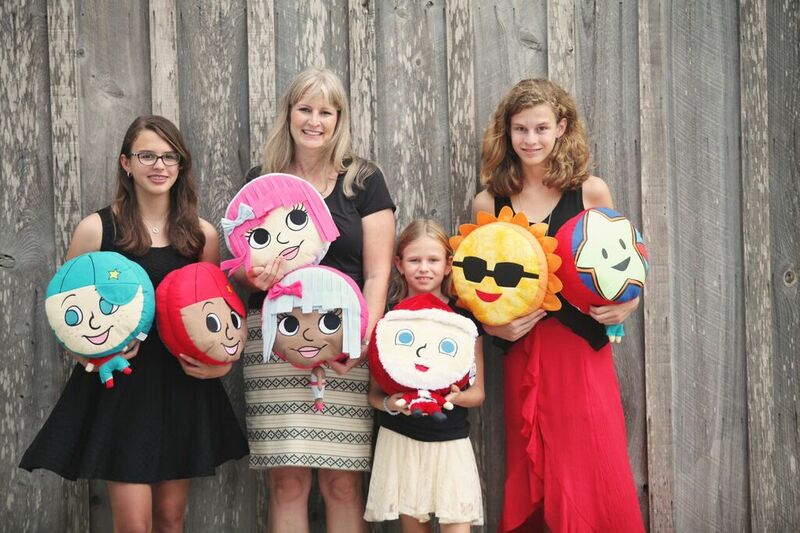 Florida-based mom-entrepreneur Halie was inspired by the ‘tadpole drawings’ of her oldest daughter! This Fab Mamma is sharing her fab dream journey through Dream Frenz®, and how she came up with this adorable collecion of cuddle buddies for kiddies! Tell us a little bit about Dream Frenz and how it all started? 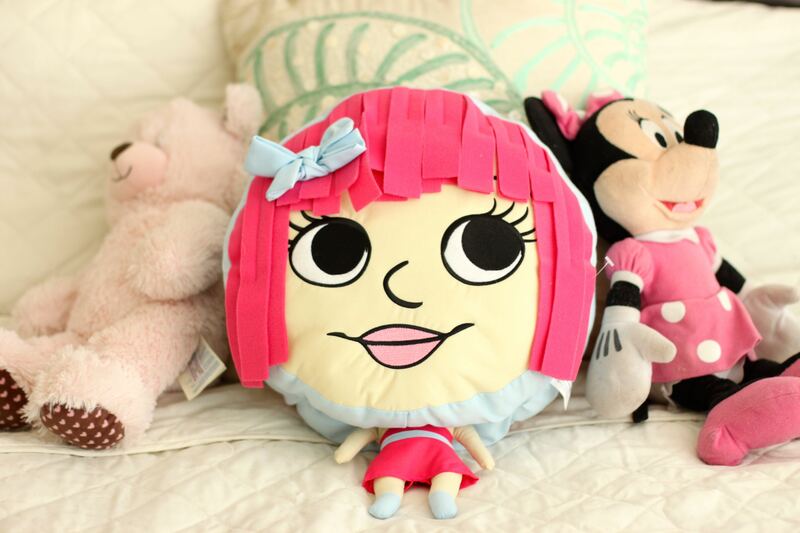 Dream Frenz are cuddly, cushy, pillow characters with oversized round heads and adorable little bodies! Our initial collection contains ten characters. They are multicultural, and appeal to boys and girls!Dream Frenz literally sprung to life from my oldest daughter’s childhood doodles. Inspiration struck me one day while we were having lunch at a restaurant. My daughter was drawing characters on the paper activity sheet. I had watched her draw that way for years. Suddenly, I imagined that the big round heads were a round decorative pillow. The bodies she drew were so small that I thought they could tuck inside the pillow. I have recently learned that these drawings are called tadpole drawings, and that they correspond to a stage of childhood development between ages three and six. We thought they would be the perfect friend to dream with! 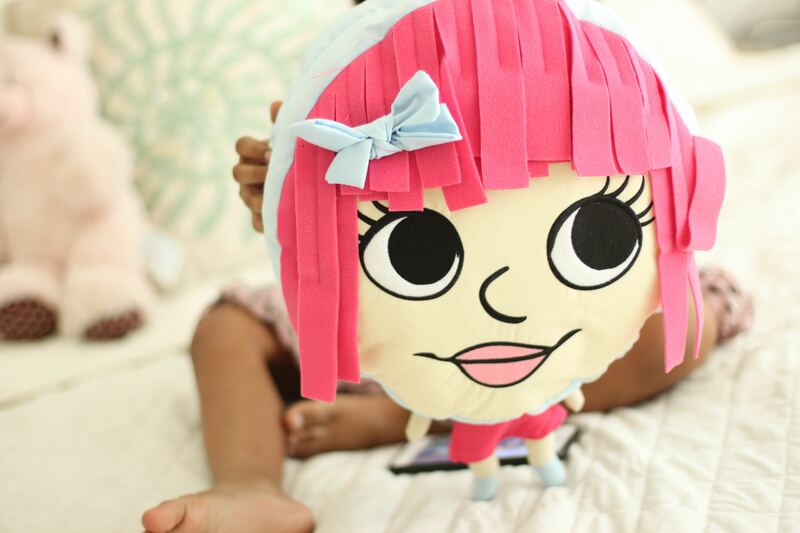 We want Dream Frenz to provide a comforting friend to play with, that encourages simple imaginative play. How does it feel to be momprenuer! Do your gorgeous daughters help around designing the collection? It is a privilege to be a mompreneur. I am glad that my daughters have an opportunity to watch an idea turn into a business! Especially, an idea that they inspired. I want them to be ready and willing to pursue their dreams! My daughters have been involved in every aspect of the business.They vote on the fabrics, color choices and other design elements. My daughters help me with social media posts and even tech support! It is important to learn from older generations, but it is equally important to learn from our children! They have so much to teach us! What is your favourite one from the collection? I really have a hard time picking a favourite. There is a unique aspect to each one that I really enjoy, whether it’s colourful hair, a ball cap, or a glow in the dark element. Another fun thing about Dream Frenz is that they group well together, like Sol the Sun and Marlin the Moon or PJ the Pirate and Merry the Mermaid. Finally, What can we expect to see from you and Dream Frenz in the future? We are working on distribution channels to make Dream Frenz more widely available, and we are also working on bringing more characters to market. Dream Frenz characters are as limitless as a child’s imagination.